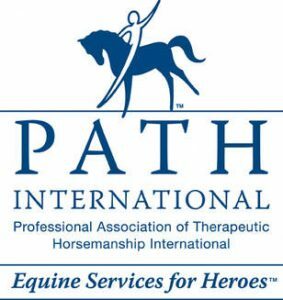 Our horses are the most important part of any therapeutic horseback riding or horsemanship lesson. 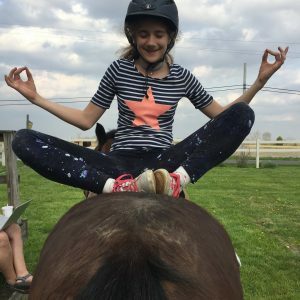 All of our horses are carefully selected and trained to be calm, patient teachers that are safe for students of all ages and experience levels to ride or interact with. 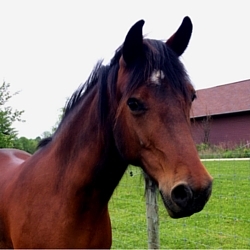 Arwenna is a 2004 Bay Welsh Cob- Section D Mare. Arwenna is full of personality. She is ridden by more of the intermediate riders but her guilty pleasure is eating peppermint treats. She is owned by Janice Edelman. 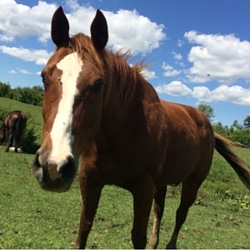 Bailey is a 1988 Bay Quarter Horse Mare. 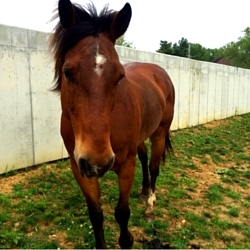 Bailey is the oldest horse here at the barn and has been dedicating her time in lessons for most of her life. Bailey leased from Becca Funk. 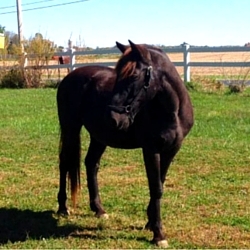 Nipper is a 2005 Sorrel Quarter Horse mare and a retired police horse from Wayne County. Nipper enjoys treats and loves all the attention that someone can give her. Nipper is quite unique since she is the only blind horse at the barn. 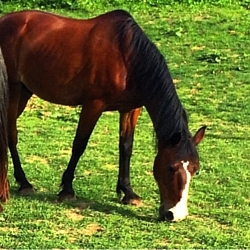 Mann is a 1996 Bay Quarter Horse Gelding. He is a been there done that horse. His owners use to show him in 4H and take him trail riding. Mann also has a hidden talent is being able to shake his head to the beat of any music that is being played. There is never a dull moment when Mann is around and music is playing. Mann is owned by the Miller Family. 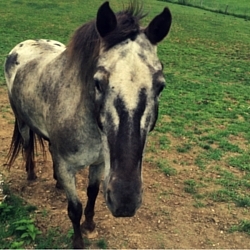 Wonder Boy is a 1998 Grey Appaloosa Gelding. He is known as “Bright Eyes.” He earned that name because he is always the first horse to the gate and the most curious one too. If you are hiding a treat he will be the one to find it. Sondel is a 1996 Bay Morgan Gelding. Sondel is the one of the most trusted horses here at Sunrise. His favorite speed is walking. All beginners start on Sondel and love him! 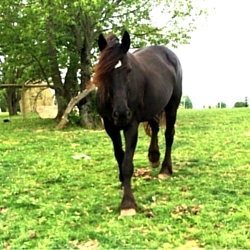 Zena is a 2005 Black Friesian Mare. 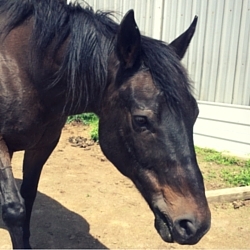 Zena is the biggest horse in the barn and she has a huge heart. Her favorite past time is getting belly rubs! She is owned by Janice Edelman. 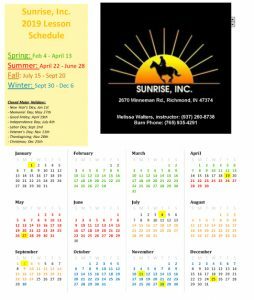 Delight came to Sunrise in the Spring of 2018 fulfill a special opportunity for one of our riders. She has adjusted very well to life at Sunrise and is learning her role as a therapy horse. Delight is curious, kind, loves people, and full of energy! Sam has served Sunrise over many years and is now retired from giving lessons. He is a kind, friendly soul who is in need of a loving home to enjoy his retirement. If you or someone you know would like to give Sam a loving home, please contact Sunrise for more information.